Do you frequently wake up with a sore jaw, or do your teeth look like they’ve been worn down? If so, you may be suffering from bruxism, a condition where a person unconsciously clenches their jaw and grinds their teeth while they sleep. Over time, this can cause the teeth to weaken, break, and it can even strain the jaw! With a nightguard, fortunately, we can keep all of this from happening. 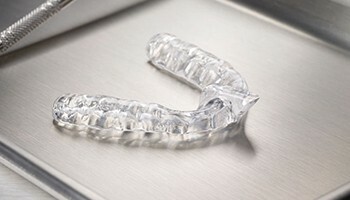 It is a small, custom-made mouthpiece that you’ll only wear to bed, and it will provide a protective barrier between your teeth to keep them safe during the night.